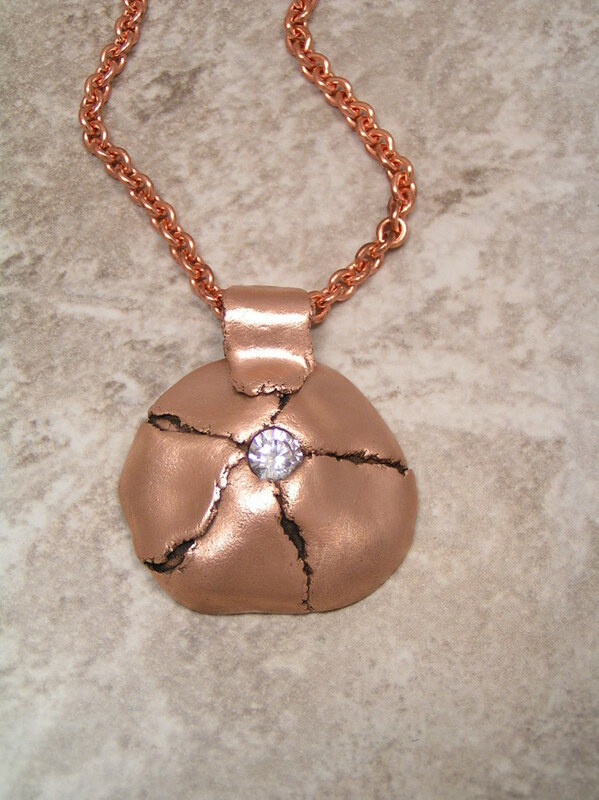 Pink bronze pendant with 'torn' segments on a solid back and centered with a 6mm clear cz. Eighteen inch copper chain and handmade. pink bronze toggle clasp. Nickel free.